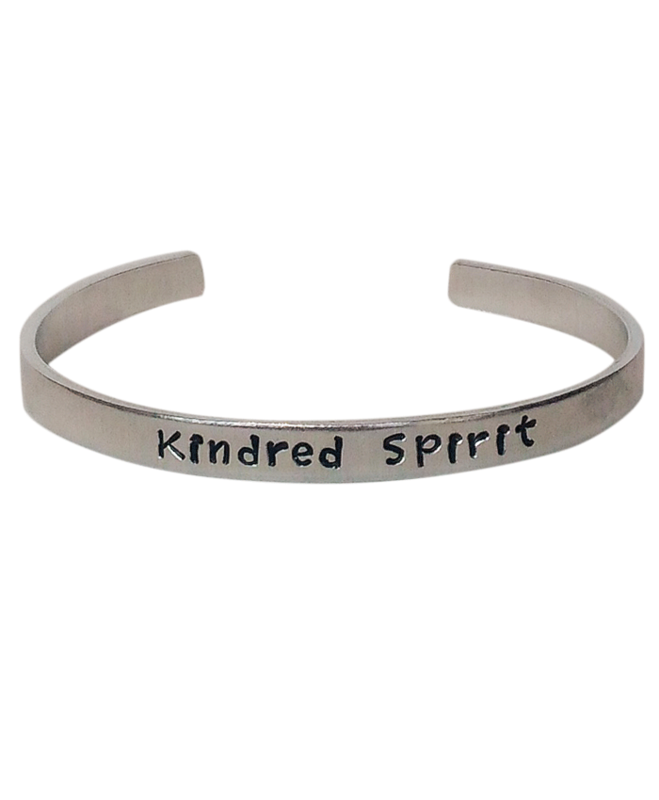 This hand stamped metal cuff is perfect for showing your Kindred Spirit that you are thinking of them. This bracelet measures 7’’ and adjusts easily to fit. Get one for yourself and your Kindred Spirit and show your bond in a unique way! What is a Kindred Spirit? 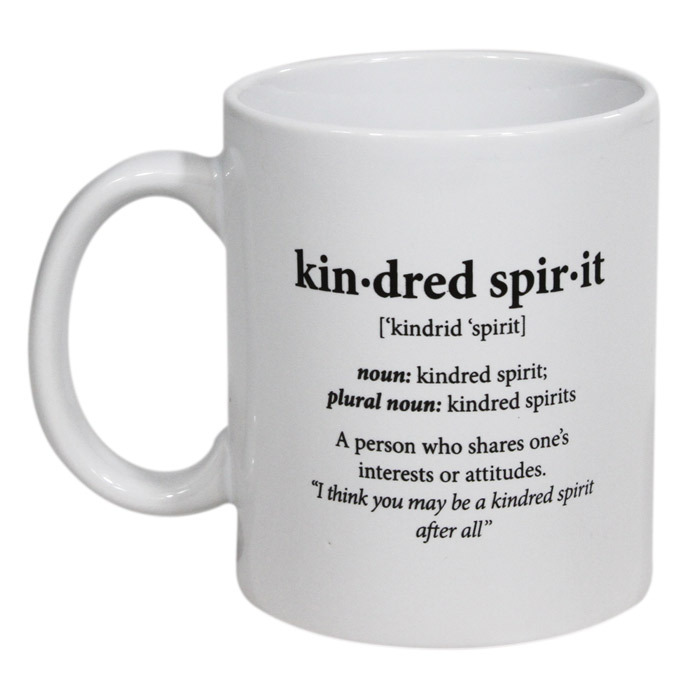 Always be reminded about the special meaning of this term with the Kindred Spirit Definition Mug. This 8 oz mug is a functional gift that is also a little fun! Perfect for enjoying any beverage in,the Kindred Spirit Definition mug is a favourite of ours and we think your Kindred Spirit will enjoy it too! Looking for a touch of elegance? The Diana Berry Perfume is a must! If your Kindred Spirit is the kind who loves to visit stores like Bath and Body Works, this perfume might just be of interest. The Diana Berry perfume is sweet and fruity and settles into a subtle scent once applied. This perfume is functional and elegant. 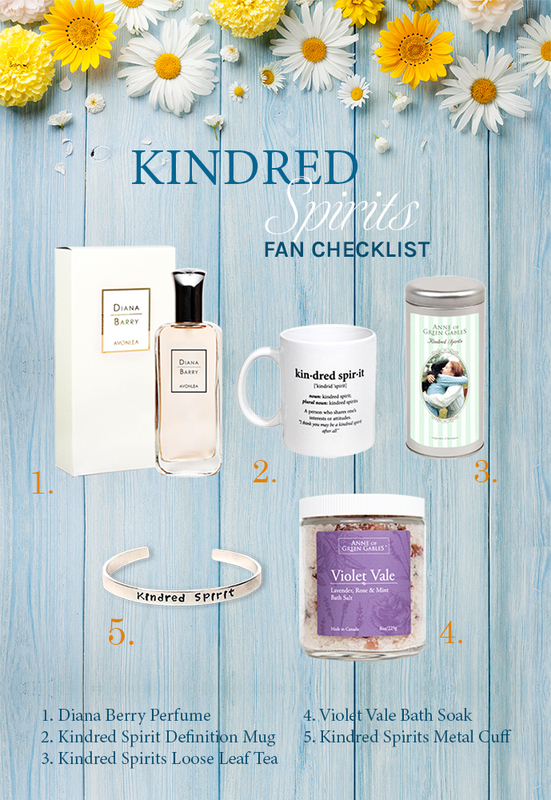 The Kindred Spirits Tea is a gift that can be shared! 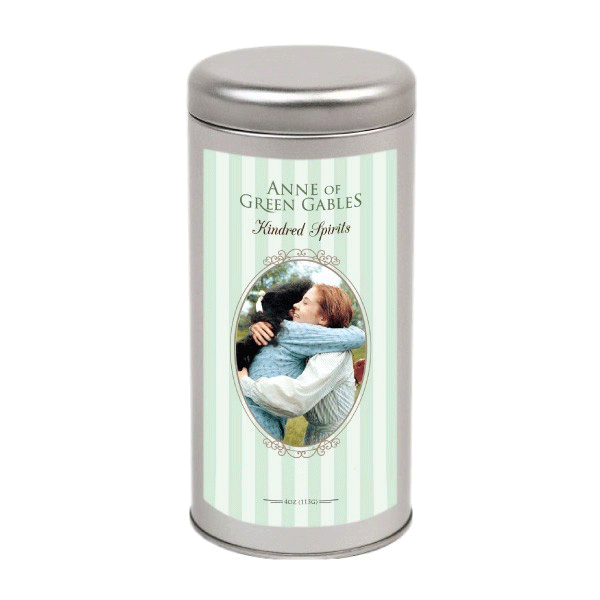 Each cup of this delicious tea is infused with a soothing blend of Darjeeling and Keemun leaves and each tin is labeled with an iconic image of Anne and Diana, two of the truest Kindred Spirits. This tea is perfect for sitting back and relaxing or for having a visit with your Kindred Spirit and chatting the hours away. 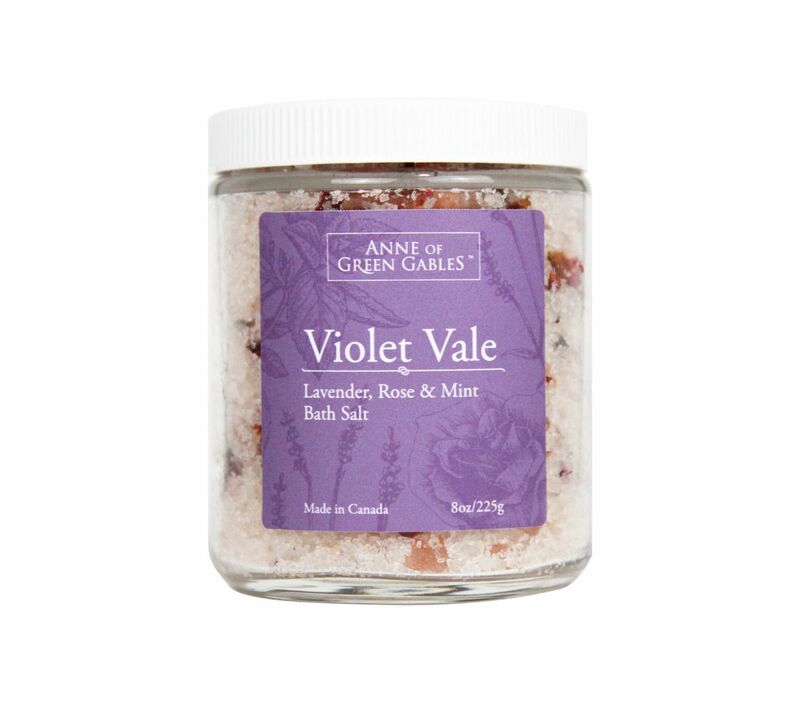 The Violet Vale Bath Soak is a unique gift for the Kindred Spirit that loves to relax and re-energize! Made from all natural ingredients of lavender, rose, and mint essential oils in Ontario, Canada, this bath soak smells absolutely amazing and it will make your skin feel even better! 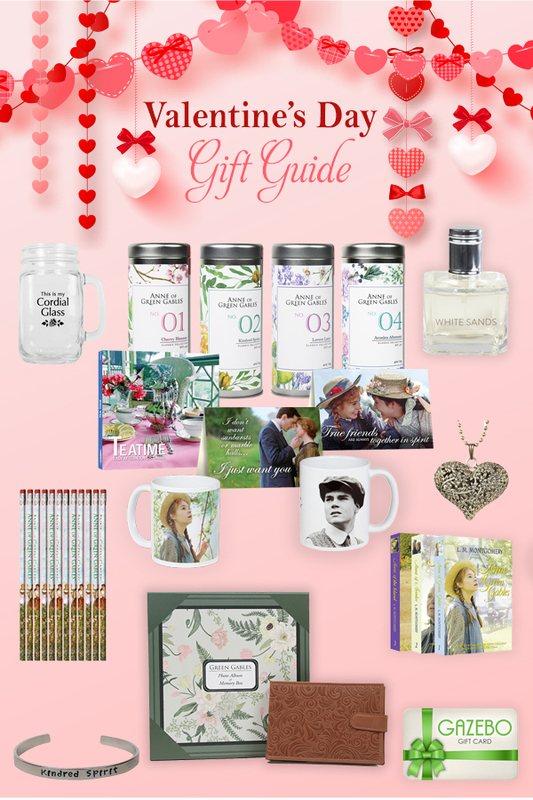 If these lovely gift ideas don’t catch your eye, there is plenty more to see on Shop at Sullivan! 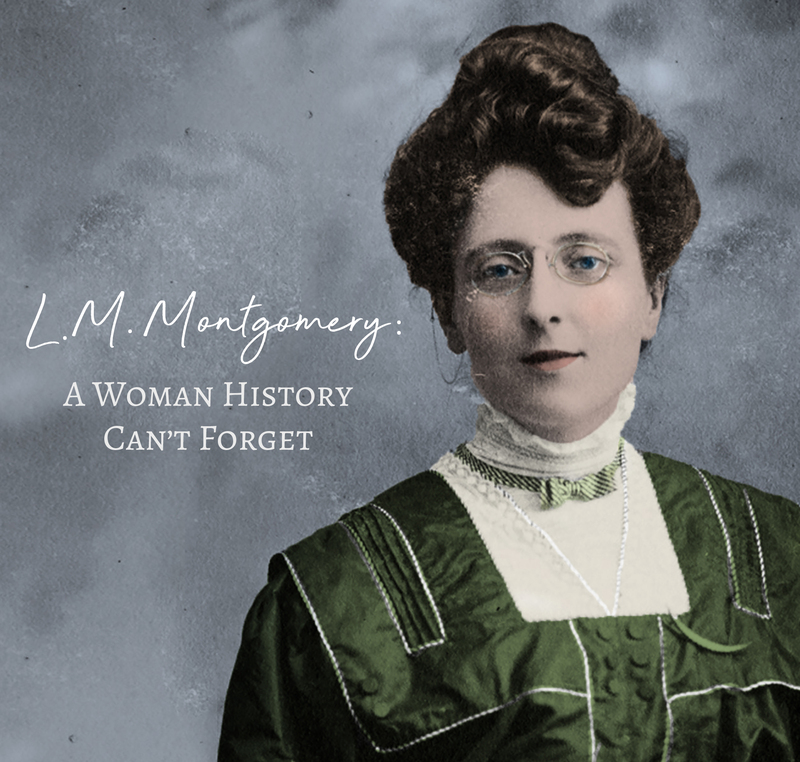 Find something for yourself and for your Kindred Spirit in our many offerings of collectibles, DVDs, Books and more. Don't know what a Kindred Spirit is! 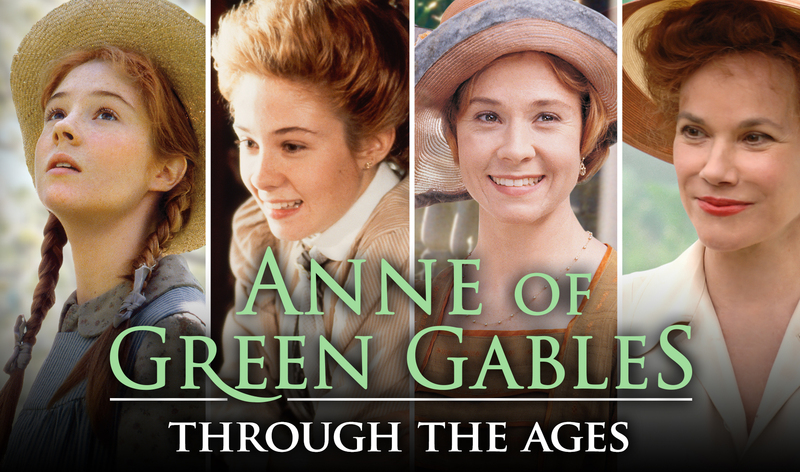 Check out this video from Anne Shirley herself!